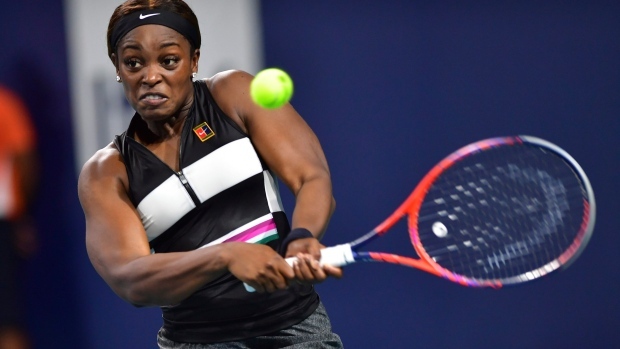 CHARLESTON, S.C. — Top-seeded American Sloane Stephens outlasted Spain's Sara Sorribes Tormo 7-6 (4), 7-6 (4) to advance Tuesday at the WTA's Volvo Car Open. Stephens, the 2017 U.S. Open champion, needed almost 2 hours, 40 minutes to put away Tormo in the season's first clay-court tournament. The 2016 Volvo Car Open champion was not crisp during several stretches. She fell behind Sorribes Tormo 5-2 in the first set before rallying. Stephens also squandered two match points at 5-4 in the second set before winning the tiebreaker.